February 24th, 2007 - Posted in Online Apartment Rental Advice. With New York Habitat’s unique service, knowing the best time to book an accommodation can be challenging. Unlike hotels where the exact number of available rooms is known at any given minute, the inventory is constantly changing at New York Habitat. So, when is the best time to begin booking an apartment? 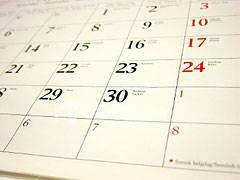 The peak time to book an apartment for a vacation rental is about two months before the arrival date. Therefore, if you begin your search three or four months prior to your trip, you should have a wide choice of available apartments. On the other hand, beginning the search too early – say, one year in advance — can sometimes make it more difficult because many of our owners do not know their schedules yet. However, during the busiest seasons, such as Easter and Christmas/New Year, reserving earlier is wise because all of our rooms are usually booked. By contrast, travel tends to be slower in January and February, so waiting until the last minute sometimes can net a bargain priced room. The peak period for booking furnished rentals is about one month before the arrival date, though there are many people who do not begin to look until just a few weeks or days before their arrival. Similar to vacation rentals, it is important to consider what the demand is like at your start date. For example, if you are planning on a September 1st arrival, you should begin looking quite early because the demand is high with the influx of students traveling to our various cities. Remember that it never hurts to begin your search early. 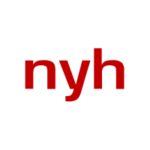 New York Habitat provides RSS feeds of all of our apartment searches to keep you up to date on the latest availabilities and our agents remain dedicated to finding you the perfect accommodation. 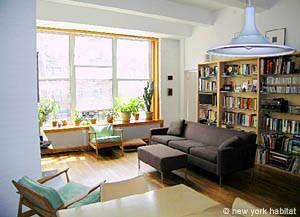 So, when looking for that perfect apartment in London, Paris, New York or the South of France, remember New York Habitat for all of your accommodation needs. How Far in Advance Should I Reserve a Vacation Rental? Do your prices increase during high season? Thank you for your question. The rental price is set by the owner and can sometimes increase during the high season, should the owner decide. The agency fee for New York Habitat is constant all year long–even during peak seasons. For more information about when to rent, please read our April 6, 2007 article “Start to think about your summer apartment rentals” found in the Apartment Rental Tips section. Happy hunting! We are looking for 10 days in a Paris vacation rental aprox. Dec. 12 through 20. Does that mean a two week rental or just a charge for additional days. Thanks for asking! It depends on the policy of the owner of the apartment that you choose…the agent that has been assigned to you will answer you by direct email for each specific apartment that you are interested in. Enjoy your holidays!